Clyde Mandelin is a translator who has worked on games and anime such as One Piece, Kingdom Hearts II, Attack on Titan, and, most famously, a translation of Mother 3. Now, he’s showing off his programming skills as he streams game on Twitch through a program that compares translations as he plays. Mandelin has created a complex program that streams Japanese and English text right on screen and allows viewers to take part in the translation process. Viewers can test their language knowledge by matching words or take note of differences between the original text and its localization. The process is pretty complicated, but Mandelin outlines it all in a blog post on the ‘Legends of Localization’ website. Using an old program that allows him to read an emulator’s RAM, Mandelin is able to find the Japanese equivalent of English lines and read them in real time. This allows him to compare game text on the fly, sorting through a sea of data to match the two scripts. He’s also created a program that allows him to read and display enemy data as he encounters them. His specific program looks at Breath of Fire II. To keep track of everything, he identified and cataloged every monster in the game based on their stats and assigned an ID to them. The program uses this ID to list the enemies’ name and stats. Mandelin isn’t currently sharing his program but he has not ruled out the possibility that it or a similar program could be released to help other people learn more about translation. 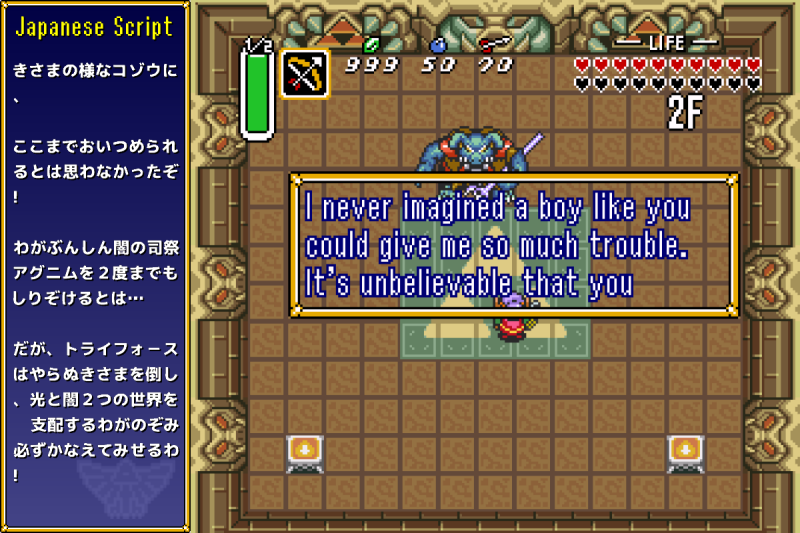 With so many games getting rediscovered or receiving new fan translations, it’s a very exciting proposition. As tools develop further, fans and enthusiasts will be able to better share games and preserve the spirit of originals in their own translations.